After a devastating winter for the world number 1’s, England will be looking to the summer to turn around what has been a terrible period for them. After a lot of anticipation England’s Tour of Pakistan finally got under way on the 17th January but it didn’t got to plan with a 10 wicket defeat to Pakistan in their 1st Test. England looked to comeback after that but losing the Test Series 3-0 and then a 1-1 test series draw with Sri Lanka showed that England struggle in Asia where conditions don’t favour them. England has a big line up of cricket this summer to keep you entertained. However, can England overcome their winter troubles and keep their No. 1 status or will South Africa prove to good and become the new No. 1 side. Before England can go up against South Africa for 4 thrilling tests, they will have to see off a West Indies side that are looking like no pushover in their tour of Australia, losing the 1st test by a narrow 3 wickets. England start their summer of cricket on the 17th May for 3 Tests, 3 ODI’s and 1 T-20. England will look to whitewash the Windies in their Test Series to give them the best possible chance of retaining their No.1 status and win their One Day series and T-20 series to move them up in the ICC Rankings. England then welcome the Aussies for 5 ODI’s which will be contest which even the bookies will find hard to call. 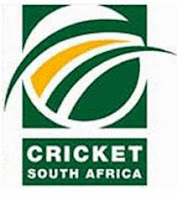 Then we welcome South Africa which is the Highlight of the English summer where on the 19th July the 1st ball will be bowled at the Kia Oval to start 3 tests where it will be the battle for No. 1 test status. Then there will be 5 ODI’s and 3 T-20’s so there is no need to move from your sofa. So, don’t forget to enjoy what will be one of the most anticipated summer’s of Cricket ever. England will be looking for key players such as Trott, Pietersen, Anderson, Broad and Swann all to perform to the best of their ability to see of a South African side with supreme talent.